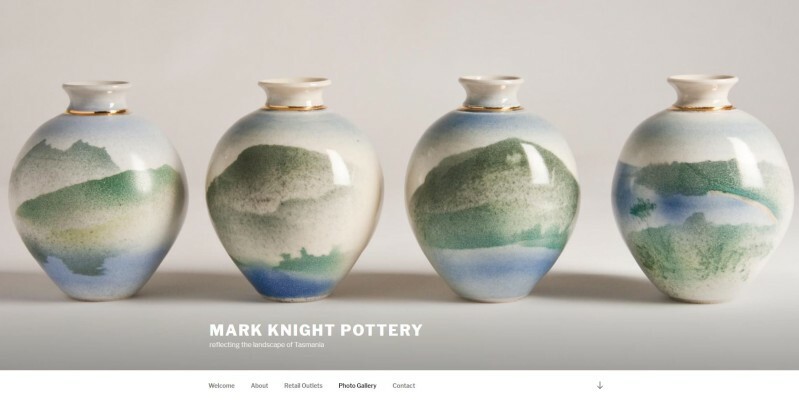 Mark was a pottery supplier to our Tasmanian Gallery from 1996 till 2005 whilst we owned the business, thus a long term friend. During our Hobart Accommodation business operation, Mark approached me to create his website. Originally created back in 2007 in MSFront Page (html), it has just been re-worked in Dec 2017 into WordPress using the latest WP Theme twentseventeen. They have been very happy with the change to WordPress and clients also are enjoying the new website. Having a Presence on the WWW does not have to “break the bank”.